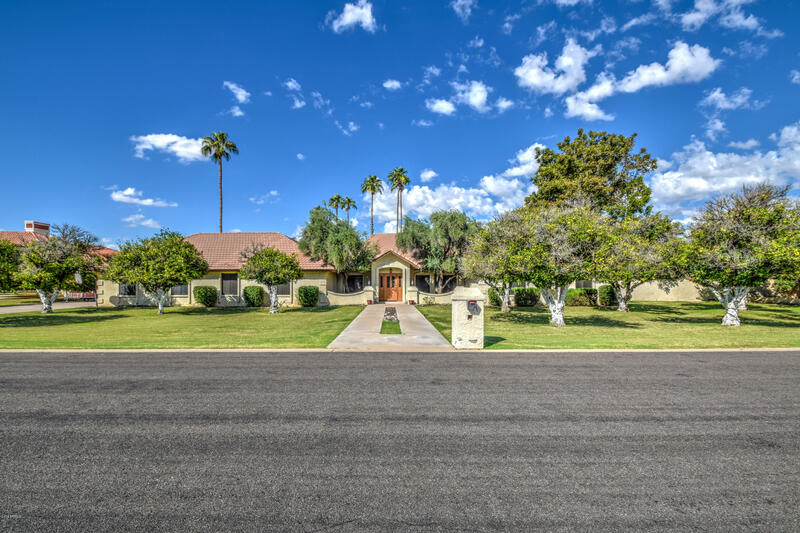 All EL CAMINO DOLCE UNIT 2 LO homes currently listed for sale in Mesa as of 04/23/2019 are shown below. You can change the search criteria at any time by pressing the 'Change Search' button below. "BEAUTIFUL CUSTOM HOME LOCATED ON 1 ACRE LOT WITH DESIRABLE N/S EXPOSURE. BUILT BY GARY GIETZ IN A CITRUS SUBDIVISION OF 41 LOTS. EAT IN KITCHEN W/BAYED WINDOW & SEAT. DETAILED WOODWORK (TRIM T/O, CEILINGS, SHUTTERS, MANTEL & BUILT IN SHELVES/CABINETS IN DEN/OFFICE). DRAMATIC ENTRANCE W/MARBLE FLOORING LEADING TO FORMAL DINING, DEN & OPEN TO LIVING ROOM W/MARBLE & GOLD LEAF FRPL. LARGE MASTER W/SITTING AREA AND FULL BATH. SEPARATE SUITE W/SITTING AREA, FIREPLACE, KITCHENETTE. LARGE BATHROOM CAN B"